In some cases combinations of the above combustion air sources is required, but the application of each has to be determined on an individual basis. I’m going to use just one configuration in this combustion air calculations example, and it is a very common type of installation. Let’s assume that we have 2 gas appliances – a furnace and a water heater – installed in a utility room or closet (not in the garage – different requirements apply, bathroom or bedroom – not permitted / safety hazard). Both appliances’ combustion process relies only on combustion air from the house interior / living space. 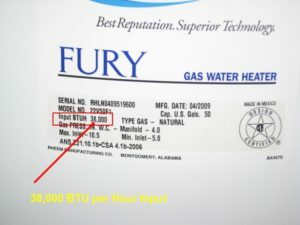 A high efficiency furnace with two PVC pipes installed (one for exhaust and one for combustion air) and both of them terminating on the house’s exterior would not qualify for this example. What we need to do is to calculate the combustion air volume within that living space and compare that with the combustion air requirements of our appliances to support proper / complete combustion process. 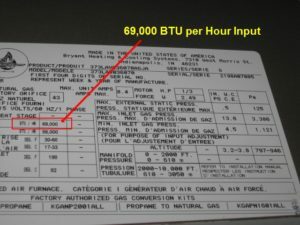 Take a piece of paper and write down two numbers from the appliances’ labels (click pictures for examples of labels) – their BTU’s per hour. Use the simple formula below to calculate the amount of combustion air required by those appliances. 5350 ft³ is the amount of air volume that those two appliances require per hour of their operation in order to complete a clean combustion. In the next step you need to take a measuring tape, and right down the height, length, and width of the room supplying combustion air for those appliances (or combine dimensions of a few smaller rooms if they are connected together with properly installed vents allowing free air flow between them). 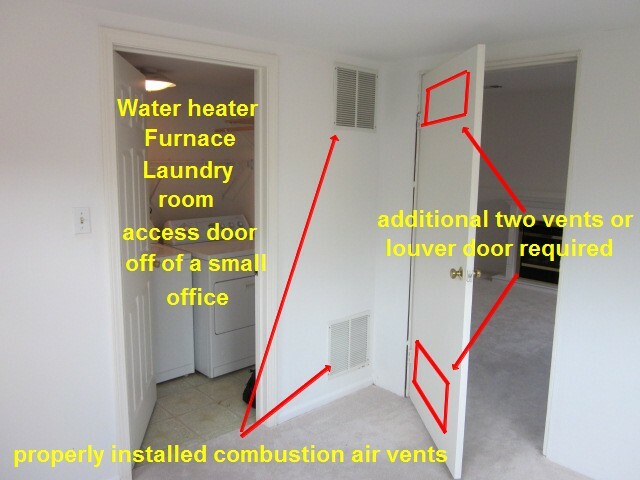 Going back to our example; the room size capable of supplying combustion air to our appliances would have to be approximately 26’ L x 26’ W x 8’ H = 5408 ft3, quite large… So, in order for the utility room or a closet to provide that much combustion air, it has to be somehow open to the rest of the living space. Slipping area and / or a bathroom cannot be used for providing combustion air to the fossil fuel burning appliances. If the closet or utility room has been equipped with a solid door(s) – the door would have to be replaced with a louver type door(s), equipped with an appropriate size of the louvers. Two openings would be required in the existing door or closet wall (between the closet interior and an area that would provide sufficient amount of combustion air). 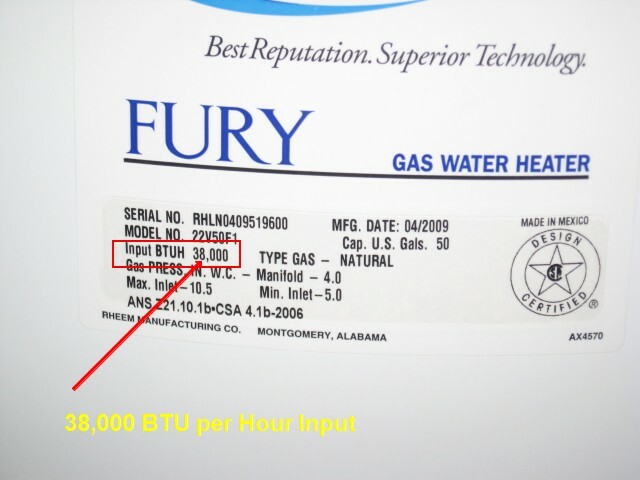 Each opening must have at least 107 sq inches of a net free air flow area (100 sq inches minimum if total BTU of installed gas appliances is less than 100000, and additional 1 square inch of net area per each 1000 BTU’s over 100000).One opening is required within 12″ from the floor, second within 12″ from the closet ceiling. Check those vent covers periodically for lint contamination and never put anything against them that could limit combustion air flow – put it no your routine home maintenance list. 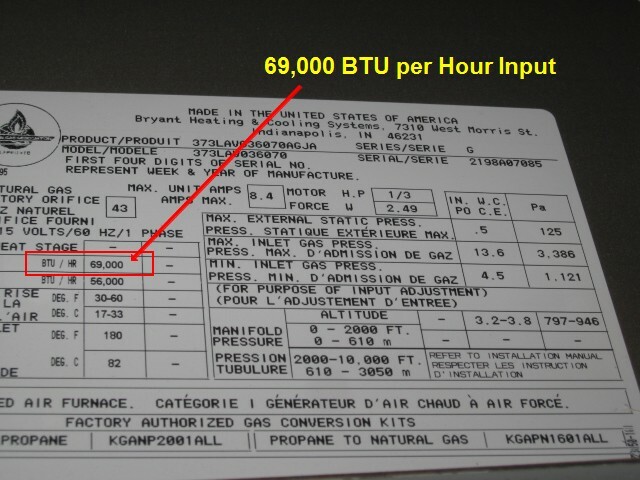 I hope this will help you to calculate combustion air for fossil fuel burning appliances.